Westmeath football has been rocked by James Dolan's decision to withdraw from their championship squad as he opts to go to the USA for the summer instead. Dolan is understood to have informed the Westmeath management of his plans on Tuesday night, just 11 days out from their Leinster quarter-final against Laois in Tullamore. Dolan is the team's vice-captain and had skippered the team in last Sunday's O'Byrne Cup final defeat to Meath. Dolan's decision so close to his county's opening championship encounter will once again place a sharp focus on how the lure of the US is impacting teams from the lower divisions. Last month it was revealed that Brendan Murphy would not be involved with Carlow for the championship as he outlined plans to go to Boston. Dolan is also believed to be heading for Boston. Murphy had, however, made it known to the Carlow management earlier in the season. New rules prevent inter-county players who play in a championship match from obtaining a transfer to a US club in the same year. In the past, players would have waited until their provincial championship interest was wrapped up or, in some cases, their entire championship had concluded before departing for a US city to link up with a club over there. But the tightening rules have forced decisions much earlier and evidence in several counties, mainly outside the top flight, would suggest that inter-county is losing. 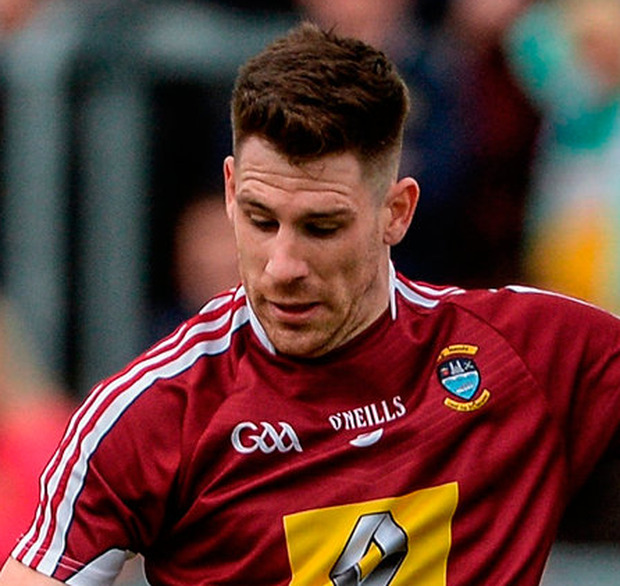 Dolan has been one of Westmeath’s most consistent players in recent years and his departure leaves Westmeath with quite a high turnover rate from last year. Eight of the team which started against Dublin in last year’s Leinster semi-final are no longer part of the squad. John Heslin is captain but he is unlikely to make the Laois game because of an ongoing hip injury. Elsewhere, Colm Cavanagh has given Tyrone a big boost by declaring himself fit for their Ulster SFC clash with Monaghan. The All-Star midfielder has recovered from a quad muscle injury picked up in late March, and will line out at midfield alongside Mattie Donnelly in Omagh on Sunday. Manager Mickey Harte has handed debuts to Pomeroy’s Frank Burns at centre-back and Trillick’s Lee Brennan, who gets the nod after an excellent NFL campaign in which he finished as Division 1’s top scorer. Tyrone (SF v Monaghan): N Morgan; P Hampsey, R McNamee, C McCarron; T McCann, F Burns, P Harte; C Cavanagh, M Donnelly; C McShane, N Sludden, C Meyler; L Brennan, C McAliskey, M Bradley.